A Hartlepool man died at the age of just 34 due to the effects of taking heroin, an inquest heard. Ronald O’Keefe began sniffing glue as a teenager before becoming dependant on harder drugs and alcohol when he got older. He died at a friend’s house in Everett Street, Hartlepool on November 4 last year. 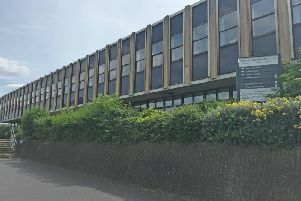 An inquest, held at Hartlepool Civic Centre, into the circumstances around his death heard he had taken heroin which reacted with other substances in his body causing him to fall into a deep sleep from which he did not wake up. Mr O’Keefe had been staying with friend Victoria Bown for a few days. She said in a statement a man had been looking for Mr O’Keefe because Mr O’Keefe owed the man money, but did not know where he was staying. Ms Bown said she returned home on Saturday, November 3, to find Mr O’Keefe unwrapping a small wrap of what she believed to be drugs. She told him she did not mind him drinking but she would not allow drugs in the house. She said she left Mr O’Keefe drinking cider in the living room that night and went to bed. The next morning she found his body in a sitting position on the kitchen floor clutching a paper bag. Six used hypodermic needles were found in the bag and other needles were on a kitchen unit. She said: “I checked his wrists for a pulse but couldn’t find one. She added: “I have known Ronnie for many years. Tests carried out in a post-mortem examination found traces of morphine, cocaine, metazepam, and paracetemol. The cause of death was given as morphine toxicity with heroin being the source of the morphine. Ms Bailey added: “I’m satisfied there was nobody else involved in his death and there were no suspicious circumstances. The verdict was recorded as drug related.